There are many types and causes of fires. Wildfires, arson, accidental fires and others all pose a unique danger to communities and individuals. America’s fire death rate is one of the highest per capita in the industrialized world. Fire kills over 4,000 and injures more than 23,000 citizens each year. Firefighters pay a high price as well; approximately 100 firefighters die in the line of duty each year. Property losses due to fire exceed $8.5 billion a year. However, most of these deaths and losses can be prevented! America’s fire losses today represent a dramatic improvement from nearly 30 years ago. 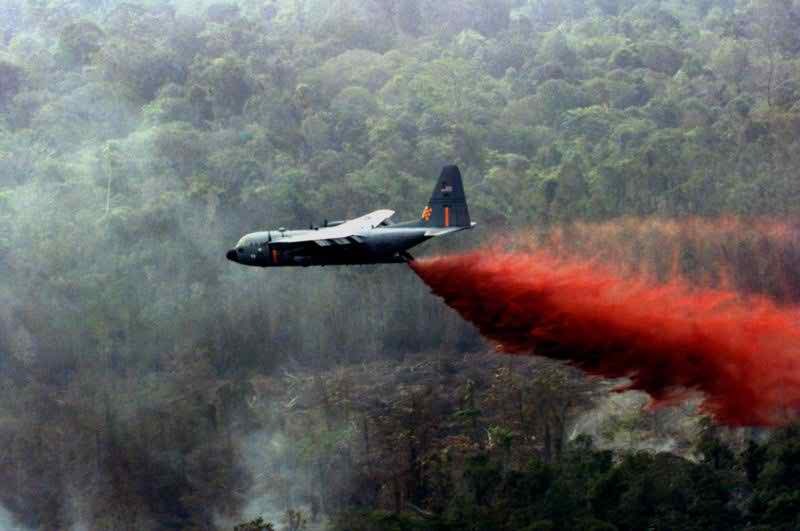 In 1971, this Nation lost more than 12,000 citizens and 250 firefighters to fire. 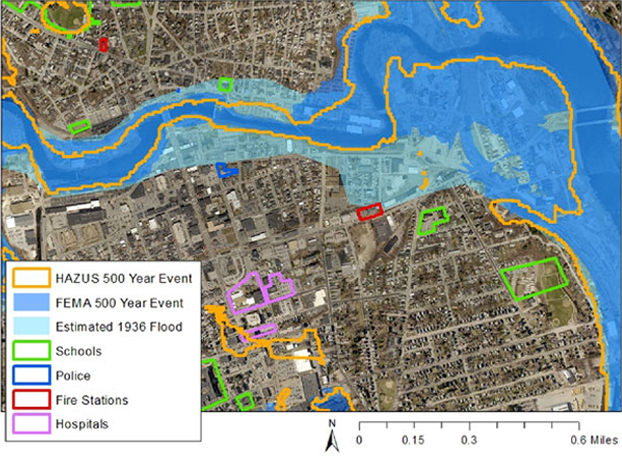 This is clear evidence that mitigation and fire prevention efforts are working. Since 1985, approximately 9,000 homes have been lost to wildfires and urban fires across the United States. A fire in the town of Seabrook, NH in 1996 was started as a controlled burn. However, due to the density of Phragmites in the area, the fire burned so hot, it melted the vinyl siding off a nearby house. A fire in Salisbury, MA on April 8, 1999 was another dangerous fire caused by the common Phragmites plant. This fire began in some Phragmites and within 20 minutes had consumed 7 acres of marshland. The fire then jumped a road, burned down a vacant dwelling and threatened three other occupied homes. Fire fighters responding from 4 communities saved these homes. 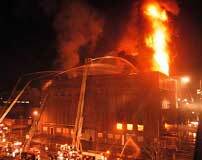 Another well-known fire occurred in Worcester, MA in December of 1999. In a manufacturing building fire, the intensity of the smoke and flames trapped two firefighters. Four other firefighters were sent in as part of a rescue team, however all six were killed in the fire. What is the Risk of Fire in the Northeast? Where is the Biggest Risk of Fire? The risk of fire is difficult to predict, but is primarily based on your location and on the presence of sprinklers or smoke detectors in your building. Structures that are surrounded by dry vegetation, such as old Phragmites, that has not been suitably cleared are at risk. Homes and buildings without functioning smoke detectors are at higher risk for fires that cause injury. Regardless of location or fire safety systems, fires are a universal hazard that can occur at practically any time in any home, business, or community. When Are Fires Most Likely? There is no season for all fires; they can occur at any time of the year without warning. 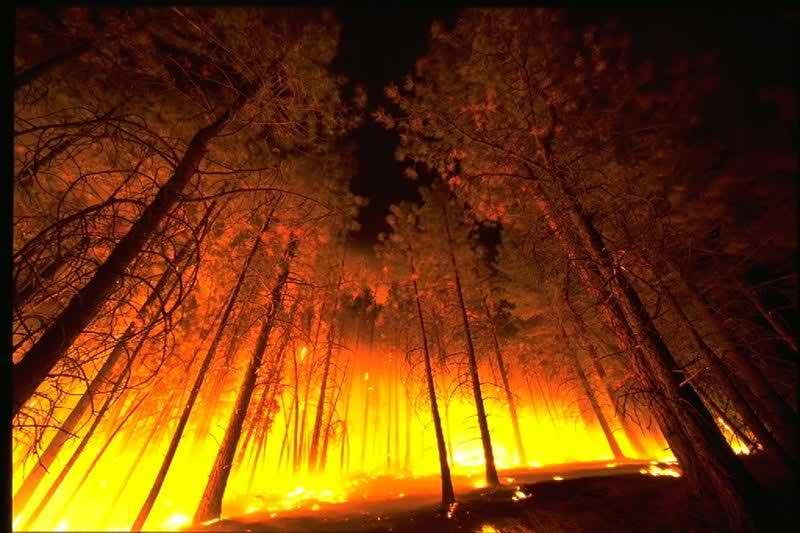 However, wildfires are more likely to occur during droughts or dry spells in the spring and early summer. Wildfire season usually begins in March in coastal and southern area of the Northeast, gradually spreading to central, western and northern parts of the Northeast. The wildfire season usually ends in late November. The majority of wildfires usually occur in April and May, when home owners are cleaning up and burning yard waste from the winter months. Most tree and ground vegetation is dry during this time of year, making it highly flammable and easy to catch from embers blowing off of nearby yard fires. Once leaves form and plants “green-up” in late May to early June, wildfire danger is reduced somewhat. But dry seasons or droughts can keep wildfire risk high in some areas. Residential fires are the reverse of the wildfire season. Fires started from home heating systems are the second leading cause of house fires in the US, and these types of fires are more common during the winter. Who is Most At Risk During a Fire? Senior citizens age 70 and over and children under the age of 5 have the greatest risk of dying in a fire. The risk of death due to fire for seniors and children under age 5 is double the national average. African Americans and American Indians have significantly higher fire death rates per capita than the national average. Cooking is the leading cause of residential fires and the leading cause of fire injuries in the home. Cooking fires often result from leaving a stove unattended and from human error, rather than a mechanical failure of stoves or ovens. Careless smoking is the leading cause of fire deaths in the home. Working smoke detectors and fire-resistant bedding and upholstery can significantly reduce the risk of death from cigarette fires. Keeping children from playing with the matches and lighters of smokers will also significantly reduce the risk of fires. Arson, candles, and home heating systems (including space heaters) are the leading causes of residential fires and the second leading causes of fire deaths. Heating fires are actually a larger problem in single family homes than in apartment buildings. Unlike apartments, heating systems in single family homes are often not professionally maintained. In commercial properties, arson is the major cause of deaths, injuries, and damages. If you are warned that a wildfire is threatening your area, listen to the radio for reports and evacuation information. Use a battery-operated radio in case power goes out. Back your car into the garage or park it in an open space facing the direction of escape. Shut car doors and roll up the windows. Keep your keys with you. Close garage doors. Make plans for your pets in case you must evacuate. Arrange for temporary housing at a friend or relative’s home outside the threatened area if needed. Wear protective clothing – sturdy shoes, cotton or wool clothing, long pants, along-sleeved shirt, gloves and a handkerchief to protect your face. Lock up your home when you leave. Tell a friend or family member outside the evacuation area when you leave, and tell them where you are going. Choose an evacuation route away from the fire and smoke. Anyone with medical or physical limitations, the young, and the elderly should still be evacuated immediately. Wear protective clothing while working on your home – sturdy shoes, cotton or wool clothing, long pants, along-sleeved shirt, gloves and a handkerchief to protect your face. Remove Combustibles. Clear items that will burn from around the house, including wood piles, barbecue grills, tarp coverings, etc. Move them 30 to 100 feet away from your home. Place combustible patio furniture inside your house, but leave grills and propane tanks outside and far away from your house. Close windows, doors, pet doors, attic vents, eave vents, gable vents, and basement vents. Close venetian blinds and any other non-combustible window coverings and heavy drapes. Remove thin and lightweight curtains that could catch fire. Close all doors inside your home. Open the damper on your fireplace, but close the fireplace screens. Shut off any natural gas, propane, or fuel oil lines coming in to your house at their source: either at your tank, or at the outside gas meter. Turn off all propane tanks. Connect garden hoses to your outside faucets. Fill any pools, hot tubs, garbage cans, or any other large containers with water. If you use gas-powered pumps for your water system, make sure they are fueled and ready. Turn on a light in each room to make your house more visible in heavy smoke. Determine your community’s ability to respond to wildfire. Are roads leading to your property clearly marked? Are the roads wide enough to allow firefighting equipment to get through? Store combustible or flammable materials in approved safety containers and keep them far away from the house. Keep gas grills and propane tanks at least 15 feet from your house. Stack firewood 30 to 100 feet away from our house, if possible, and uphill from any structure. Clear your yard of leaves, brush, evergreen cones, dead limbs and fallen trees. The roof is the most vulnerable part of your home during a wildfire. Embers and flaming debris can travel great distances, land on your roof and start a new fire. Avoid flammable roofing materials such as wood, shake and shingle. Materials that are more fire resistant include single ply membranes, fiberglass shingles, slate, metal, clay and concrete tile. Keep gutters clear of leaves and debris. Cover house vents with wire mesh. Any attic vent, soffit vent, louver or other opening can allow embers and flaming debris to enter a home and ignite it. Cover all openings with 1/4 inch or smaller wire mesh, pre-cut plywood or commercial seals. Install multipane windows, tempered safety glass or fireproof shutters to protect items behind large patio or bay windows from radiant heat. Remove debris from under sun decks and porches. Any porch or deck with exposed space underneath is fuel for an approaching fire. If vegetation is allowed to grow underneath a porch, or if the space is used for storage, that hazard is increased significantly. Clear leaves, trash and other combustible materials away from underneath decks and porches. Use non-combustible patio furniture and covers. If you’re planning to build a porch or sun deck, use non-combustible or fire-resistant materials. Consider having a professional inspect your property and offer recommendations for reducing the wildfire risk. Landscape your property with fire resistant plants and vegetation to prevent fire from spreading quickly. Replace highly flammable vegetation such as pine, junipers and fir trees with lower growing, less flammable species. Check with your local fire department or garden store for suggestions. If a stove fire starts, slide a lid over the burning pan and turn off the burner. Leave the lid in place until the pan is completely cool. Using a lid to contain and smother the fire is your safest action. Getting the fire extinguisher or baking soda to extinguish the fire delays action. Flour and other cooking products besides baking soda can react explosively to flame and should never be sprinkled over a fire. Moving the pan can spill grease and cause serious injury or spread the fire. Never pour water on a grease fire, it will cause the fire to spread and become worse. If you try to use a fire extinguisher on a small fire and the fire does not immediately die down, drop the extinguisher and get out. Most portable fire extinguishers will be empty in about 8 to 10 seconds. After some residential fires, people have been found dead with fire extinguishers near them or in their arms. If your clothes catch on fire, you should STOP, DROP, and ROLL until the fire is extinguished. Running only makes the fire burn faster. Get out first! Get away from toxic smoke and gases, then call 9-1-1. If a cell phone is handy during your escape, you may take it with you, but do not waste precious seconds looking for one. Use your neighbor’s phone, a cell phone, or nearby pay phone to call for help. If it is cool and there is no smoke at the bottom or top, open the door slowly. If you see smoke or fire beyond the door, close it and use your second way out. If the door is warm, use your second way out. It is a natural tendency to quickly open use the door, but fire may be right outside and could overwhelm you. Feeling the door will warn you of possible danger. If you must exit through smoke, crawl low under the smoke to your exit. Fires produce many poisonous gases. Some gases are heavy and will sink low to the floor; others will rise carrying soot towards the ceiling. Crawling with your head a foot or two above the ground will temporarily provide the best air. Once you are safely out, stay out! Do not reenter a burning building. Firefighters are trained and equipped to enter burning buildings. If someone is still inside, direct them to that person’s probable location. Install smoke detectors. Properly working smoke detectors decrease your chances of dying in a fire by half! Place smoke detectors on every level of your residence. Place them outside bedrooms, at the top of open stairways, or at the bottom of enclosed stairs and near (but not in) the kitchen. Refer to your local building regulations for additional details. Test and clean smoke detectors once a month and replace batteries at least once a year. Replace the batteries immediately if your smoke detector starts making a”chirping” noise. Replace smoke alarms once every 10 years. If your smoke detector goes off while cooking, do not take the batteries out. You may not remember to put the batteries back in after cooking. Instead, clear the air near the smoke detector by waving a a towel near the alarm while leaving the batteries in place. If false alarms happen frequently, the smoke detector may have to be moved to a new place a little farther from the kitchen. Review fire escape routes with your family. Practice escaping from each room. Teach family members to crawl or stay low to the floor (where the air is safer in a fire) when escaping from a fire. Make sure windows are not nailed or painted shut. Make sure security bars on windows have a fire safety opening feature so they can be easily opened from the inside. Do not let flammable trash, such as old newspapers and magazines, accumulate in your home. Discard outdoors and in a metal container all rags or materials that have been soaked in flammable liquids after you have used them. Never use gasoline, benzene, naphtha, or similar flammable liquids indoors. Store flammable liquids in approved containers in well-ventilated storage areas outside your home. Be careful when using alternative heating sources such as fireplaces and space heaters. And follow the manufacturer’s warnings. Place space heaters at least three feet away from flammable materials and keep them off of rugs. Never smoke in bed or when drowsy or medicated. Provide smokers with deep, sturdy ashtrays. Douse cigarette and cigar butts with water before throwing them in the trash. Keep matches and lighters up high, away from children, and, if possible, in a locked cabinet. Inspect extension cords for frayed or exposed wires or loose plugs. Make sure wiring does not run under rugs, over nails, or across high-traffic areas. Make sure outlets have cover plates and no exposed wiring. Do not overload extension cords or outlets. If you absolutely must plug in two or three appliances into an extension cord, get a special UL-certified unit that can handle the wattage, with built-in circuit breakers to prevent sparks and short circuits. The United States Fire Administration (USFA) serves as the national focus on reducing fire deaths, injuries, and property losses. In 1974, Congress passed the Federal Fire Prevention and Control Act, which established the USFA and the fire research program at the National Institute of Standards and Technology (NIST). The USFA works to involve the public and private sector to reduce losses through public education, arson detection and control, technology and research, fire data collection and analysis and fire service training and education. NIST performs and supports research on all aspects of fire with the aim of providing scientific and technical knowledge applicable to the prevention and control of fires. Check the “Things You Can Do Today” section for fires and wildfires above. Between 1994 and 1998, an average of 4,400 Americans lost their lives and another 25,100 were injured annually as the result of fire. About 100 firefighters are killed each year in job-related incidents. Fire is the third leading cause of accidental death in the home; at least 80 percent of all fire deaths occur in the home.